While I have talked a lot about my diet on the PK Protocol for chronic Lyme Disease, what it consists of as a whole in parts 1 and 2, the phenylbutryate aspect of the IV’s, this treatment is really only one of many tools and aspects of my healing journey. One of the first, and very important treatments that I did for the beginning year and a half after hitting my “brick wall” was called IVIG. While the scientific evidence supporting IVIG and all that it is potentially useful for is still not completely known, this article simply serves as a testimony from my own, personal experiences. Rewind to the summer of 2011, when my body finally collapsed under the years of untreated Lyme. In the span of one day, all previous, seemingly insignificant GI, joint, muscle, head, skin, and circulation symptoms came crashing in, leaving me unable to sit or stand without passing out, in an extreme brain fog, no strength in both muscles and bones, worsened gastrointestinal issues, and a variety of other conditions that spiraled downward very quickly in the months proceeding. Many people ask what the first thing they should do when suspecting chronic Lyme. Though the wide range of resources (or lack there of), can be somewhat overwhelming and thus make it hard to move forward in pursuing a diagnosis, my parents had a close family friend whose daughter had gone through similar trials in her health due to Lyme. Therefore, we were directed almost instantly to get a blood panel done through our naturopath, as well as book an appointment with a Lyme literate neurologist, as there was truly no reason to waste time with general practitioners, conventional medical doctors, and their denial of what my body was experiencing. Fast forward about six months, and I was waste deep in various tests that my Lyme literate neurologist was using to rule out and verify the fact that it was, in fact, the effects of chronic Lyme in my body that was causing all of the suspected damage. Ultimately, through all of the blood panels that he created specifically to test for hidden Lyme, as well as the variety of extensive procedures such as a spinal tap and those to see the functioning of my small nerves, the verdict was officially clear – Due to the previous years that Borrelia Burgdorferi had been left untreated, and thus unrestrained in my body, it was left to reign supreme throughout all of my internal organs, systems, and everything in between. Ultimately, the Lyme testing that he did come back positive with Lyme, of which he termed “late stage neurological Lyme disease,” due to how faint and inactive it was. In a way, this proved how long it had really been in my body, and while I have never been one to dwell on diagnosis, this was very important in my overall journey back to health. Instead of being an acute infection, the Lyme had unknowingly wrecked its havoc during the previous years that I experienced those “minor” symptoms that rotated in and out every other month. While I still struggle with the Lyme infection rearing its ugly head every now and then, my neurologist did not see IV antibiotics to be very helpful. 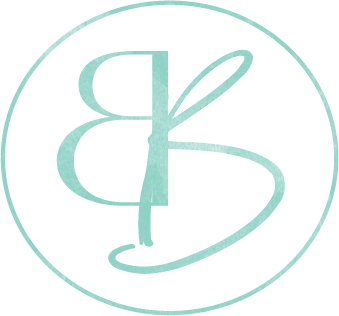 Instead, he chose to treat what he had proven to be true, and that was that Borrelia Burgdorferi had severely damaged small nerves throughout my body. This could, and still can, explain many of the symptoms and conditions that I experience and (or) have/had developed throughout the years. Aside from the neuropathy it caused through my legs, arms, extremities, different parts of my back and neck, the damage also affected my orthostatic hypertension. In other words, my blood pressure is non-existant, kidneys do not retain water properly, nor does my thyroid work correctly (causing both hypo and hyper-thyroid, as well as a pituitary gland ), poor circulation flow, and the most obvious, serious neurological decline, and a paralyzed GI tract. If you are familiar with the human body, you will know that healing, and thus repairing a damaged nerve is not an easy task. Truly, there is not a clear answer as to if full recovery is even completely possible, and if anything, takes many, many years to get full function back. Therefore, to address these issues, my Lyme literate neurologist began me on an IV treatment known as IVIG. To put it simply, the IV’s consisted of purified blood plasma, of which was used to help support, and thus restore my nerves in a way that my body otherwise could not do at its own due to the degree of damage that had already taken place. The IV’s came once a week, and took about 5-6 hours. The drip had to go very slow, as adverse side effects were common, and I personally would experience screaming migraines and increased lethargy afterwards. My white blood cell count would also dip very low, therefore causing the infusions to be taken treatment by treatment, as if they did not return to the normal range, I could not receive my IV. According to Amiram Katz, the doctor who administered my IV’s, IVIG “may be the only safe immune-modulating treatment in the presence of infection,” and though it “has worked with 5,000 patients with Lyme disease,” it is typically “given for complications of Lyme and not for Lyme itself.” Much like most all treatments for chronic Lyme, one undoubtedly feels worse before they begin to see any improvement. Moving one step forward and two steps back is the name of the game, and I truly cannot say I ever felt “good” when getting IVIG. Overall, I did the treatments for 2, six month intervals, with a nurse coming to the house to administer my IV’s once a week. I cannot say when, exactly, things began to turn around, but the most obvious came in the form of neurological improvement. Though still in a brain fog and very sensitive to noise, anything fast paced, light, and tasks such as reading, I was able to return back to continuing school where I had left off at home (I was always home schooled). Slowly but surely, one class at the time, I was able to catch up and complete high school. Of course, this didn’t happen overnight, but I am proud to say that I did the unthinkable and graduated on time, despite missing over a year of school. Through time, the neuropathy throughout my body also improved, simultaneously bringing back my blood pressure to a number that people and machines could actually read. Though very low, and still supported by a medication (1/2 of a pill I am proud to say), I could finally go from laying to sitting, and sitting to standing without blacking out and dropping to the floor. These improvement have been huge in my overall healing, and truly I wouldn’t be where I was without IVIG. I can say in all certainty that the 1+ year that I struggled through those IV’s was very well worth it, and I am sure they have helped me in more ways that I even realize. Aside from my neurological issues, it truly is the nerve damage in my intestines that has led to and (or) contributed to many of the other complications that I experience from chronic Lyme. To be frank, my intestines don’t work, or as my neurologist put it, I have “bell’s palsy of the gut.” Nothing moves through correctly, and while the IVIG treatments have definitely helped in restoring some of my mobility in the long run, there are still many missing pieces to the puzzle. Of course, there are many other factors that play into the state of my intestines, whether it be additional infections and various other factors I have encountered that have had serious trauma on my overall immune system. Somedays I wonder if my intestine will ever work properly, or if this is simply something that I will have to deal with forever. That being said, I remain persistent in healing my gut, especially by using food as medicine through the PK Protocol, and the autoimmune protocol as outline by Dr. Sarah Ballantyne. I also know that whatever the outcome may be, God will help me continue to overcome the obstacles that I face. Aside from helping restore my neurological damage, it is also believed that receiving the IVIG treatments as one my first, major steps of action, allowed me to avoid the development of any other autoimmune diseases such as Hashimoto’s, which is very common with those dealing with chronic Lyme. 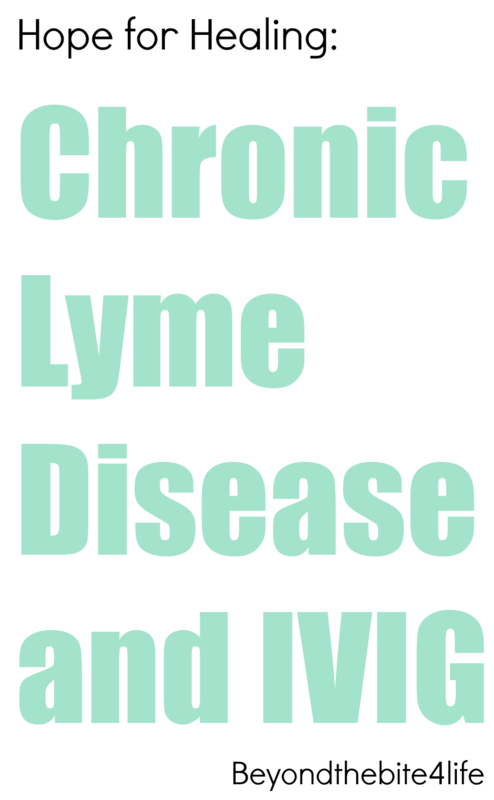 Though everyone’s bodies are different, thus making the effects of untreated, chronic Lyme Disease different, it is said that spirochetes target one of two place in the body, the gut or the brain, of which I have seen IVIG to help both in my body. While there is not much information out on the web concerning IVIG treatments, I have included two posts below for additional information. Thank you so much for posting this! I have started IVIG for MS, and no one can tell me why it is crashing my body instead of helping…this makes so much sense! Several doctors have told me recently that maybe I was misdiagnosed, and we have always had lyme in the back of our minds. I don’t live close to any LLD’s to get a confirmation though. This gives me reason to hope that it will get better. Wish I knew how long I had to watch the decline before the up-swing. I am going through the same thing you went through with the IVIG crashing my body!! Diagnosed with Lupus and MS. I just finished my second dose. Can you tell me when you started to feel better and the dose you were taking? Hi Gabrielle ! You represent the perseverance for me , so it’s not surprising that you look better and better in your last instagram’s photos. Thank you very much for sharing this valuable information!! I am curious whether or not your are still on weekly IVIG treatments for your lyme? If not can you please tell me how long it took to taper off of IVIG or did you stop suddenly? I have been on IVIG now for two years and my neurologist in SF has no clue on how to start weaning me off of it. Hope you are still feeling well. I am not on my IVIG anymore. It was getting to the point where it wasn’t changing any of my symptoms and therefore we chose to move on to a different route. Because of this, I didn’t taper off, rather just stopped. Can you tell me the dose amount you started with weekly? Hi, I have been reading your story and have a lot of similarities. I too just discovered I have a primary immunodeficiency in addition to my chronic Lyme, and my Lyme has caused permanent brain damage. My doctors want me to have IVIG treatments, but I cannot due to my insurance. Were you able to get yours covered via insurance? I hope.you continue to improve!! Our son has late stage neuro lyme with lots of absence seizures. He did his first ound of ivig 3 weeks ago. The first week he was GREAT. huge improvement, and he has slowly gone down hill since. More seizures, fatigue etc. His neuro. prescribed, but doesn’t believe in lyme so just says it’s not working and wants to stop. What was your experience. Could this be a delayed herx reactions? Any thing helps. we are so worried. I never had seizures, so I cannot speak for that…My experience with IVIG is that if the dose is too high, it would make my white blood cells drop too low, and my symptoms would get worse. My doc has also experimented with different brands of the immunoglobulins, as some people react differently to different ones. I hope and pray you can get to the bottom of it! Hi, I’m not a doctor, but I have had experience with IVIG. Can you clarify one point? Did your son only receive one dose of IVIG, and then progressed to worsening after 3 weeks, or did he receive more than one treatment? It would seem to me that there was success with the first treatment and that it would need to be continued. I’m wishing all the best for your son. Miles had one treatment. His first was done over 4 days very slowly. a total dose of 2g/kg. This was called a loading dose. The next dose will be 1/2 that done over 2 days 1g/kg. I started him on zythromax and he is doing better 500mg. 1x per day. Trying to gather as much info as possible. Very nervouse and scary. are you doing better. Our son has been approved for 6 months of treatment. 1 per month. Hi again. I’m glad to hear Miles is doing better on the Zithro. IVIG can take a while to start to show positive effects (I think my nurse told me about 3 doses in at least? ), and I think it is promising that you saw an improvement in him. I don’t know why the doctor would say it was ineffective. IVIG tends to wear off after 3 weeks, so when he worsened again, it would make sense. I’ve read that battling all these tick diseases requires both antibiotics and immunotherapy, because Lyme damages the immune system. Two things that might be helpful: has Miles had an immune workup? IgG, IgAs, CD56, etc? I was found to have low NK cells, which is an immune disorder that made healing harder. It might be worth it to see if something like that is going o . Also, there is a form of IVIG called SCIG. (Subcutaneous immunoglobulin therapy.) It is a lower dose than regular IVIG and is used in the elderly and immunocompromised. It’s injected under the skin and takes a few hours, done once every two weeks. If Miles needs IVIG, this might be another way to get him some treatment. Yes we have a done IgG etc. His is on the low side but not below the range, but low none the less for a 21 year old. I don’t know about CD56, but his CD57 test was way off, a lyme indicator.Can you tell me more about low NK cells? that is new for me. Miles was doing better on Zythro, until day 7, then way off again. A die off reaction??? this is all so tough on us all. His stomach started bugging him too so I lowered the dose to everyother day since it is such a long lasting medication. Hoping the next IVIG is on Friday, but have not heard from the nurse yet. What neuro issues did you have? and are you doing better? I am just starting IVIG for late stage Lyme and I am curious as to the weekly dosage amount. I believe I am starting at 30 grams every 2 weeks. Thanks!!! Just wanted to drop a link to my favorite site and article about neuropathy https://www.everydayhealth.com/neuropathy/guide/ for anyone who wants to look into it further.